Take Something Dull and make it DAZZLING! HOW DO YOU TAKE SOMETHING FROM DULL TO DAZZLING? You BeDazzle it with the Original As Seen On TV BeDazzler Stud and Rhinestone Setter! Yes, the BeDazzler is back again and it&apos;s the fashion craze of the season. Even if you&apos;ve never threaded a needle, you&apos;ll be BeDazzling in minutes. You can BeDazzle a hat, a shirt, a belt, a scarf or a sweater! It&apos;s easy. It&apos;s fun. It&apos;s fabulous! 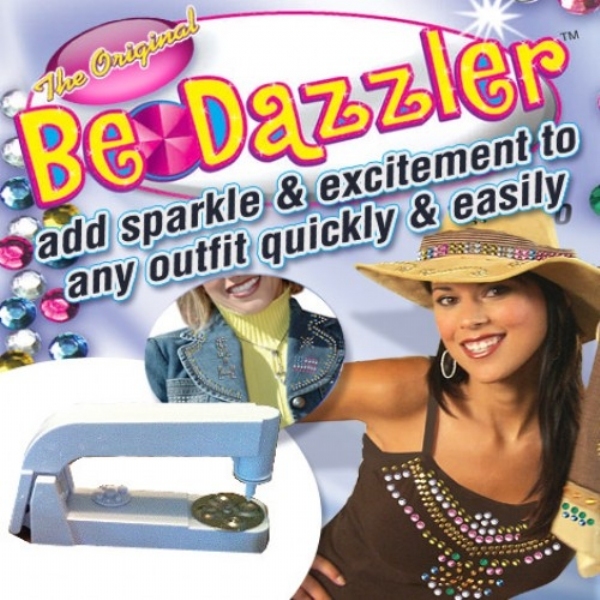 You get the original BeDazzler plus all the rhinestones, studs and stars you&apos;ll need! Don&apos;t be dull - BE DAZZLING! -with the better than ever BeDazzler!